The HDP8500 card printer/encoder is the superior industrial ID printer for ID Cards and issuance. It's especially suited for large government ID card programs, as well as demanding university and large business environments. The C50 is a simple, afforable and reliable card printer. Able to create personalized IDs for a range of different businesses in five minutes or less. With a compact design it easily fits into the smallest work space. The HDPii Plus is a encoder printer that produces high quality and durable financial cards with speed and security; being able to print a new card within minutes and hand to the customer directly. Fargo are one of the most trusted manufactures of ID card printers as they have produced many modules that have been distributed around the globe. This brand produce affordable printers that are simple yet effective. Fargo produce a wide variety of plastic ID card printers such as Fargo HDP8500, Fargo HDP5000, Fargo DTC4500, Fargo DTC1000Me, Fargo C50, & the Fargo HPDii Plus. If you would like to know more about Fargo or their models of plastic card printer feel free to contact our team on 0333 7000 123 or email enquiries@lesar.co.uk for all other ID card printers click here. 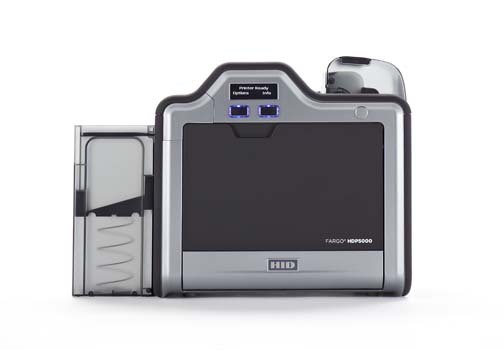 Fargo HDP500 is an affordable solution for producing high definition identification cards to practically any business. We supply everything related to Fargo including the ID card printers, cleaning kits, accessories and printer ribbons. Contact our team on 0333 7000 123 for free advice on any of our products and services.